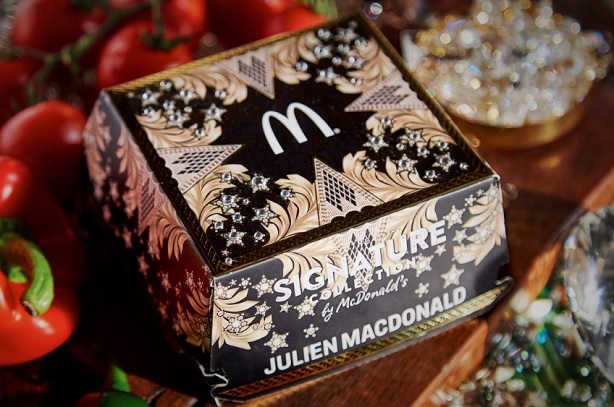 McDonald's UK has paired up with top fashion designer Julien Macdonald to create a special edition burger box for its new Signature Collection range of 'gourmet' burgers. The Signature Collection has been on trial in selected restaurants, and will now be available in more than 900 McDonald’s restaurants across the UK by the end of 2017. The design is being inveiled at McDonald's Leciester Square restaurant today. A total of 1,000 of the boxes will be available at a series of McDonald's events across the UK over the coming weeks, with fans of the brand asked to sign up online to get their hands on the box. 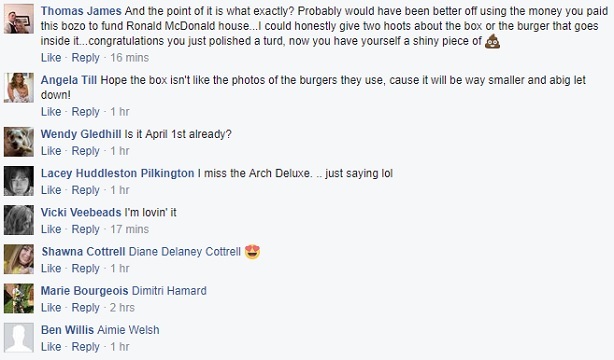 One special box, customised by Macdonald himself, is due to be auctioned to raise money for the fast food chain's Ronald McDonald House Charities. A press release from Red Consultancy said the design represented "McDonald’s first foray into the world of luxury and fashion". Macdonald, who has dressed A-list stars from Taylor Swift to Kim Kardashian, said: "I drew inspiration from my fashion creations and iconic embellished red carpet dresses. This was translated into a gold baroque crystal encrusted box, which is the perfect packaging for the luxury McDonald’s Signature Collection burger." Emily Somers, vice president of marketing at McDonald's UK, said: "This is our first ever UK packaging collaboration, it’s a brave and exciting move and it’s like nothing we’ve ever done before. To partner with such an iconic designer as Julien Macdonald is fantastic, and his beautifully designed star-studded box complements The Signature Collection perfectly and is a great way to mark our nationwide launch of The Signature Collection." Macdonald appears in a video on his namesake brand's Facebook page - click to watch the film, which cannot be embedded on external websites.